Amazon’s newest technology is an Artificial Intelligence (AI) device called Alexa. This versatile AI that works through Amazon Echo speakers is capable of controlling most of your home’s functions with your voice commands. Like Google Now, and Apple’s Siri, this AI can browse the web, play tracks on Spotify, shop online, get weather reports, create to-do lists, and control other smart-home devices. Alexa’a contextual technology is a giant leap in automation. Alexa has become one of the trendiest products in the rapidly growing consumer AI market. Many companies are working hard to link their products to this amazing artificial intelligence device. This innovative product can seem quite overwhelming to some people. 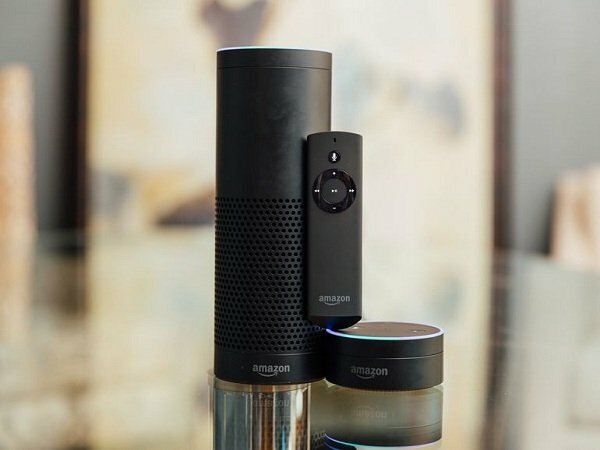 It can be hard to easily know which devices work with Alexa. We can see updates on Amazon’s website, but the difficult interface can be confusing sometimes. Fortunately, it doesn’t require a degree in rocket science to take advantage of this technology at home. Like many online technologies, there are many models of wireless speakers that work with Alexa. Of course, Amazon loves Amazon products, so the best answer is Amazon Echo. Amazon Echo works along with Alexa and has many uses, from controlling other devices to playing music. Because Amazon wanted to bring Alexa to as many people as possible, Amazon allowed third parties to develop uses and apps for Alexa. A question that many consumers will have is how do you link your Echo device to a Bluetooth speaker? First, you have to install the Alexa app that has all the controls and setup for the Echo DOT. The Alexa app is available from the Apple App Store or Google Play Store. Once you’ve finished downloading the app you can go through a quick setup of the Echo DOT. The first step is to connect your WiFi. With the use of the Alexa App, a Bluetooth speaker can quickly be linked and ready for use. You can pair all of them with the Amazon Echo dot that has Alexa integration.